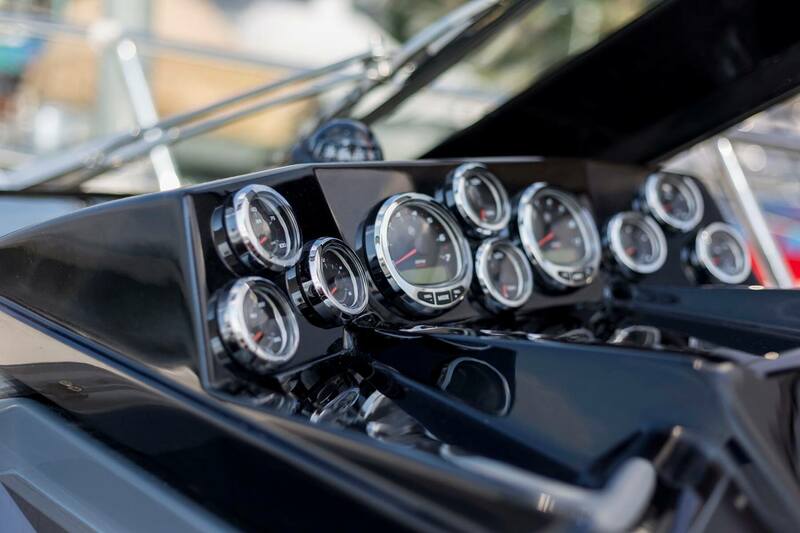 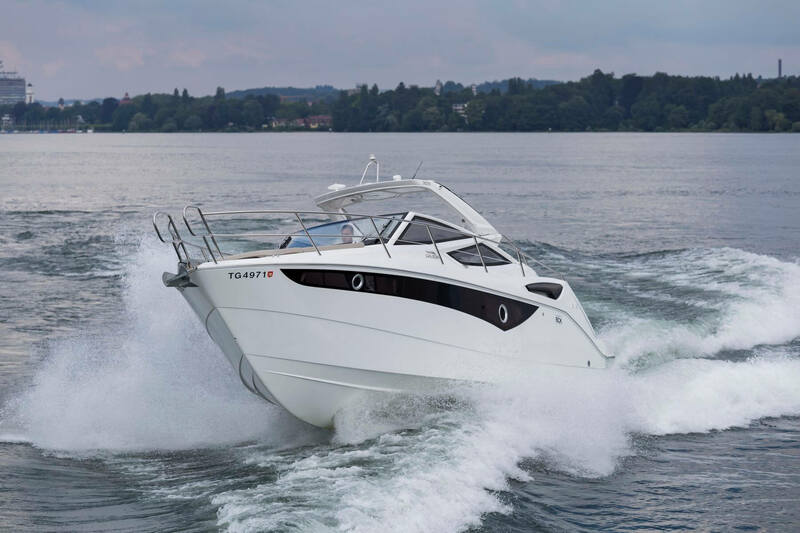 The distinct and aggressive line of the 305 Open leaves no doubt about its purpose and target audience. 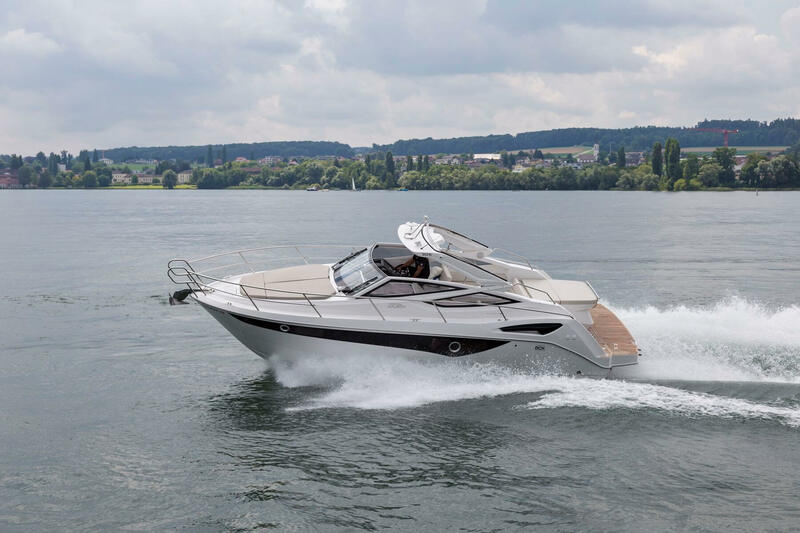 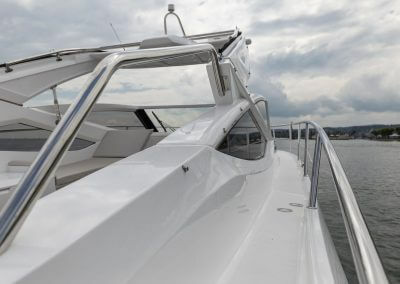 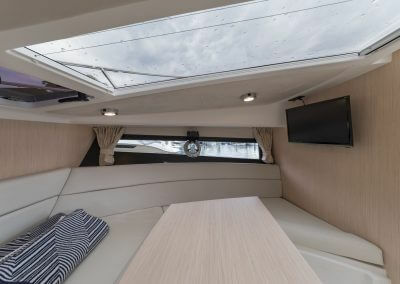 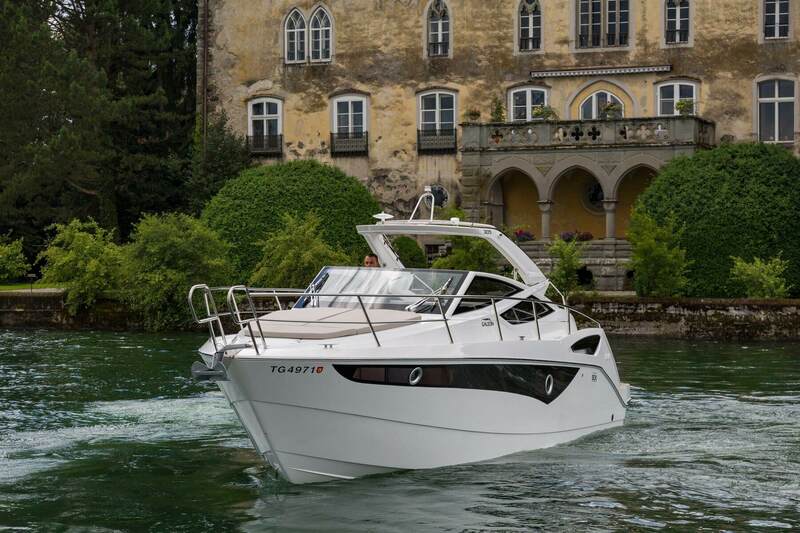 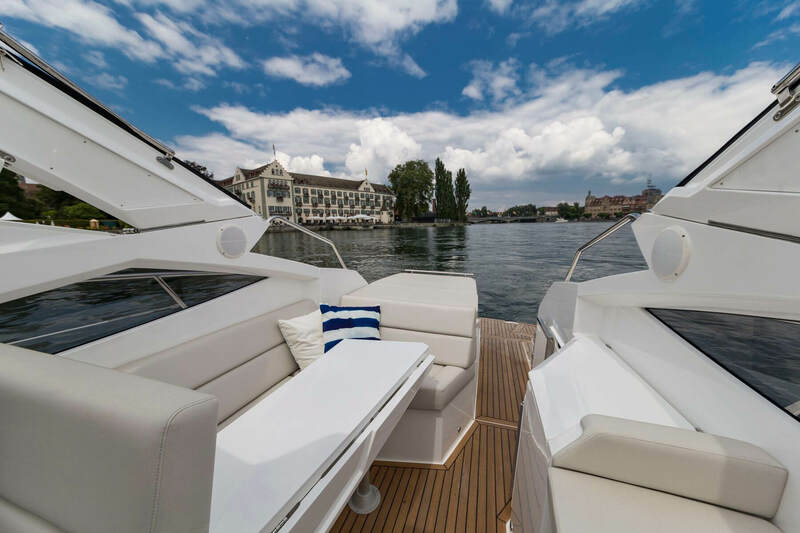 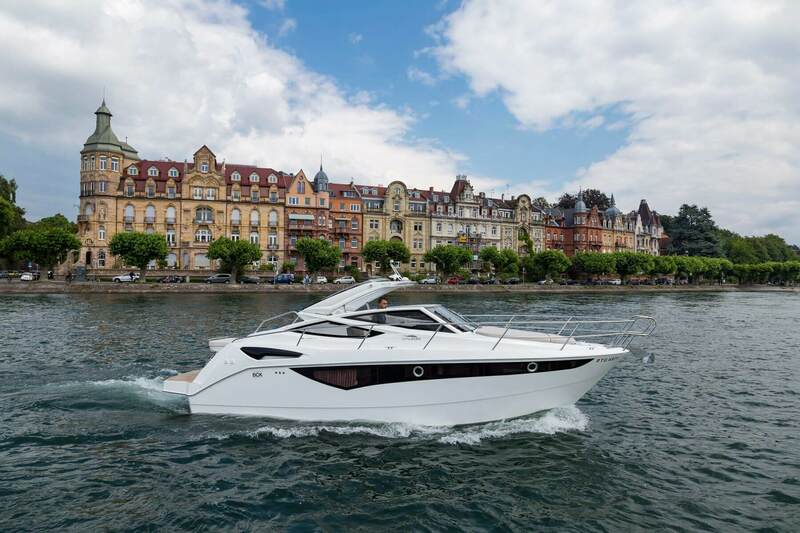 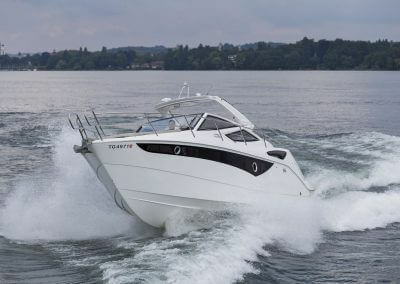 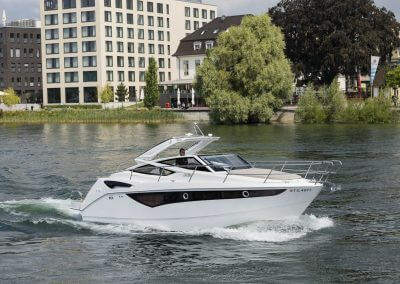 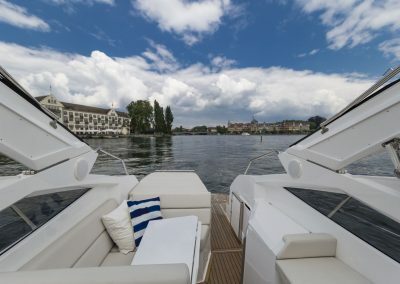 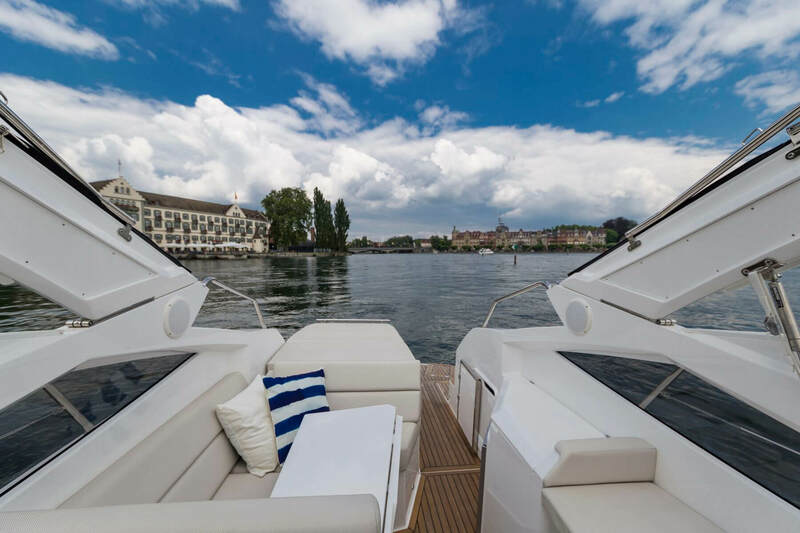 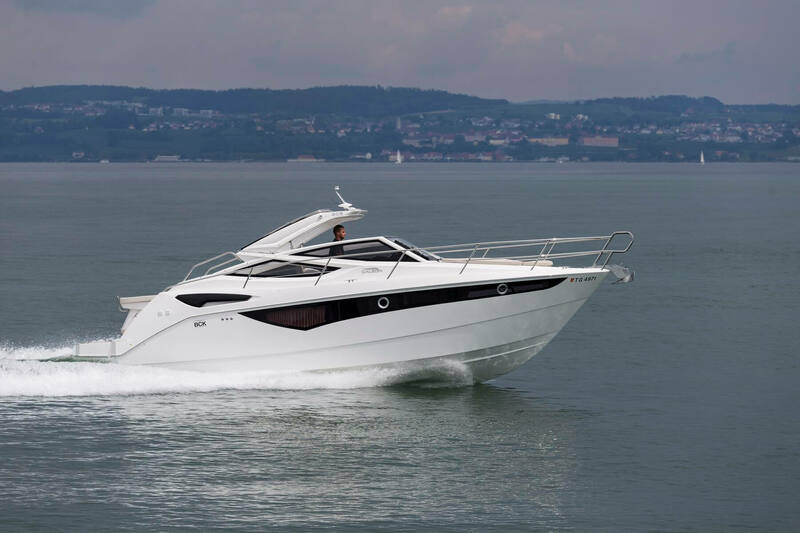 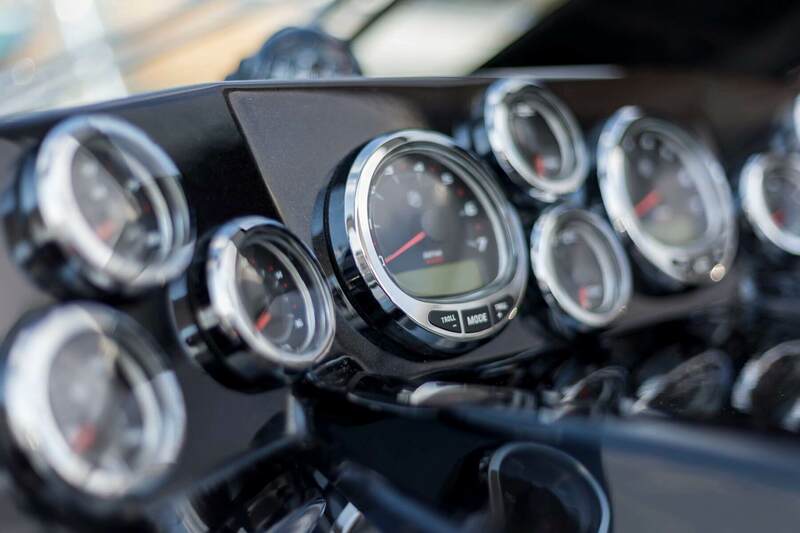 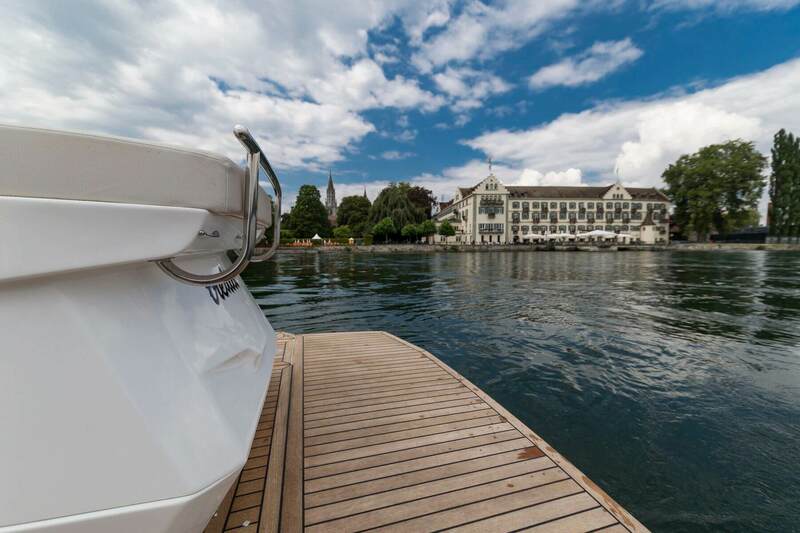 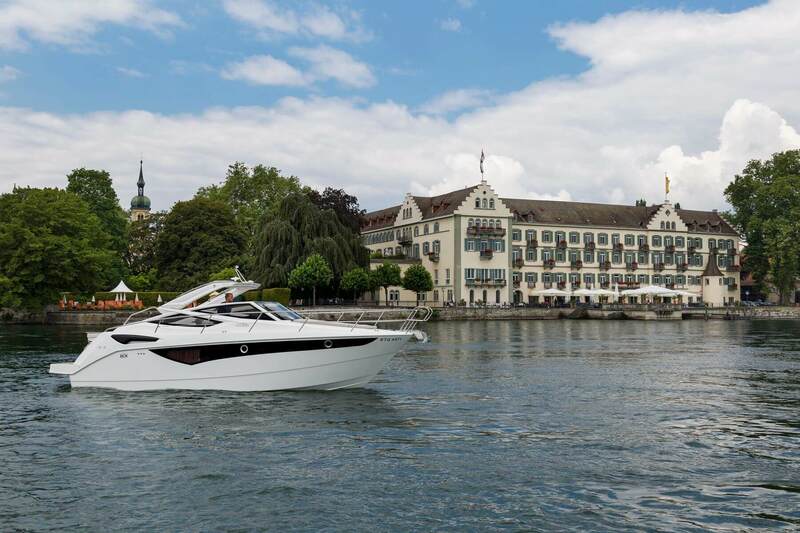 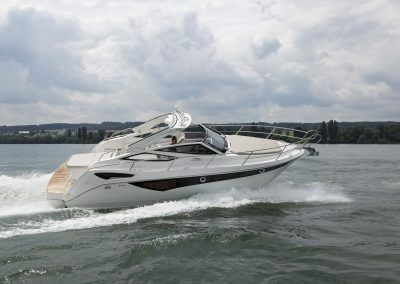 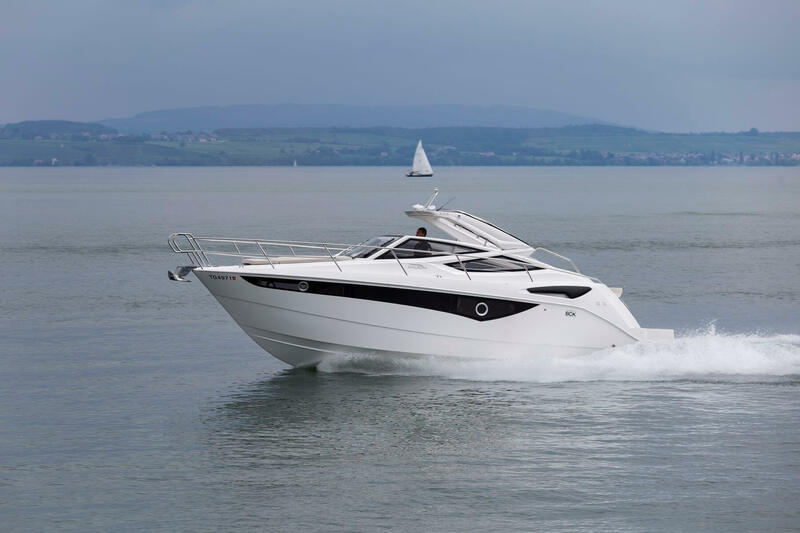 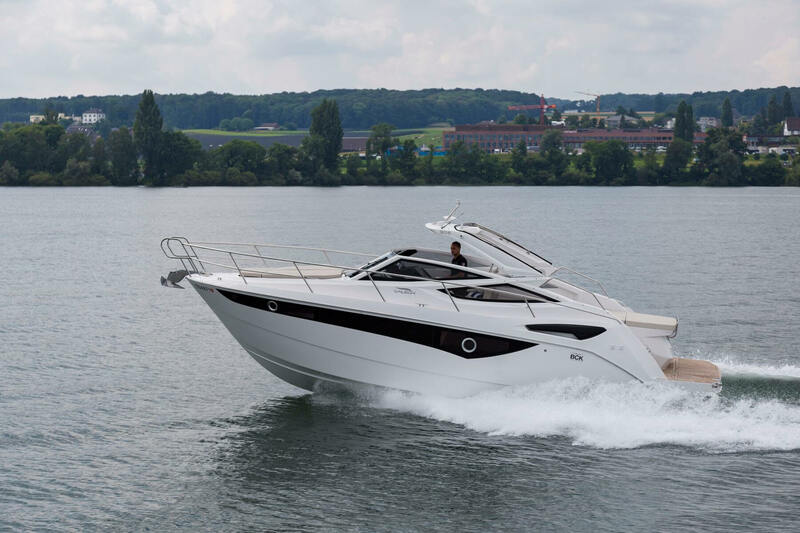 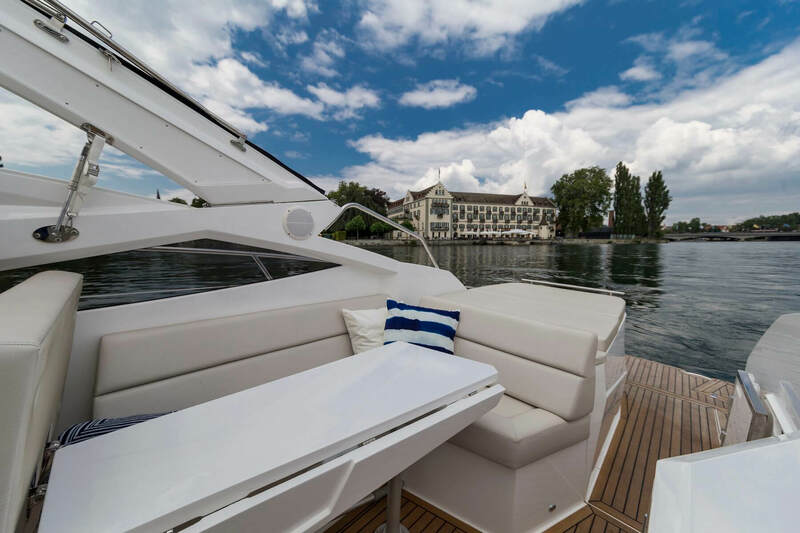 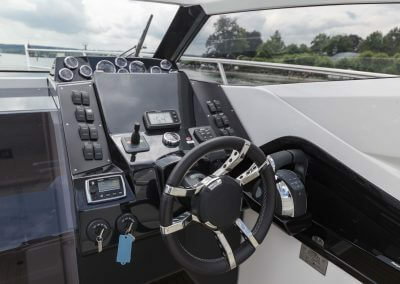 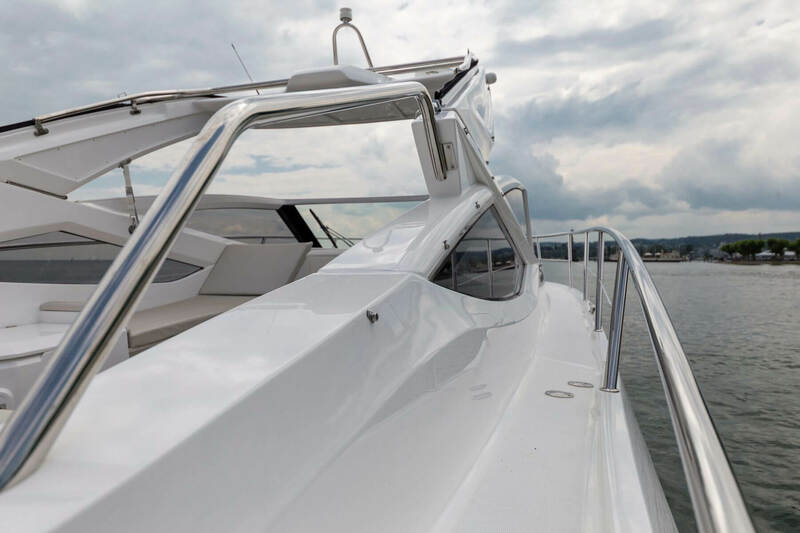 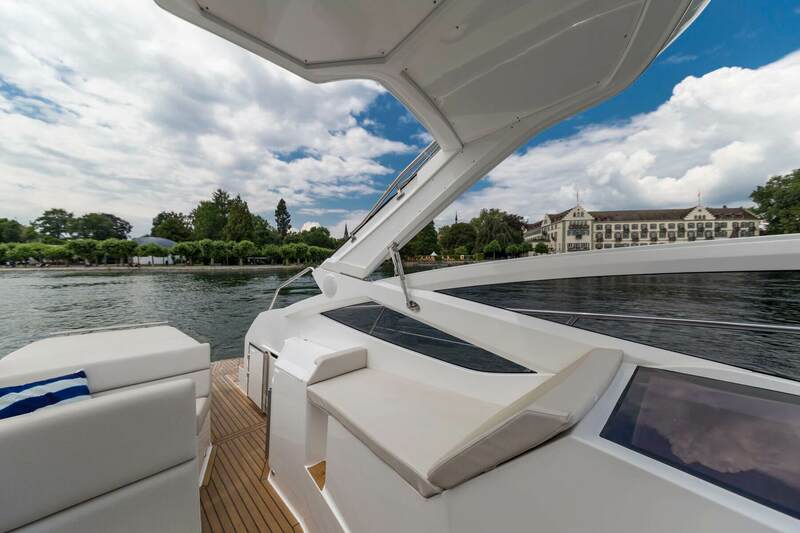 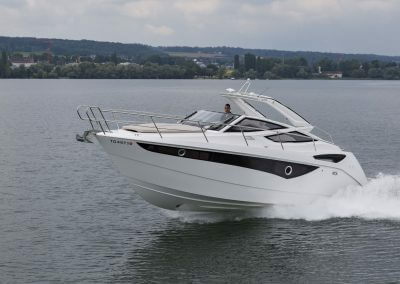 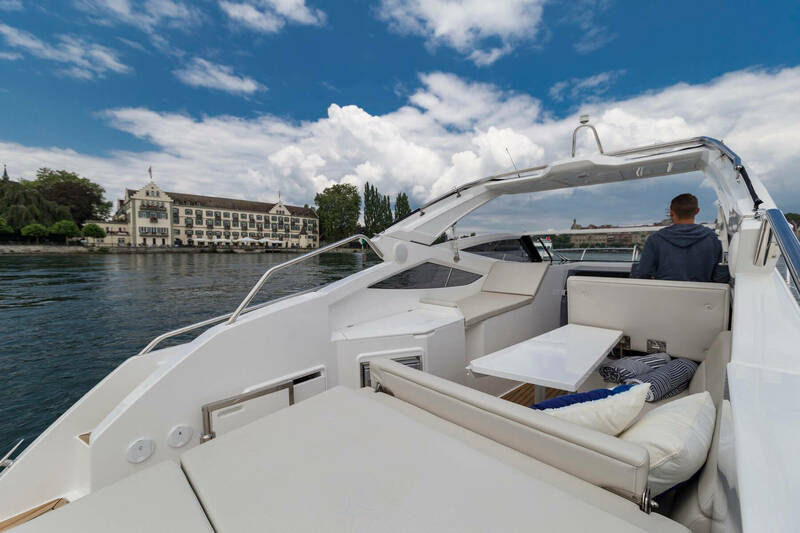 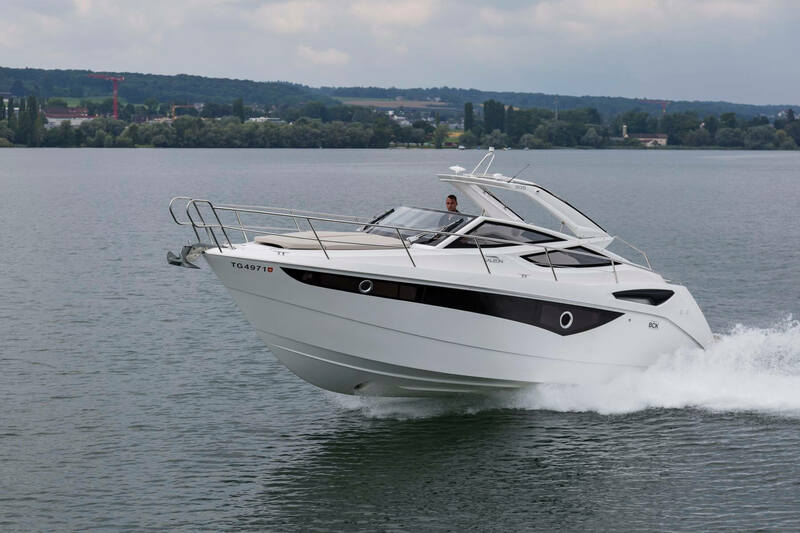 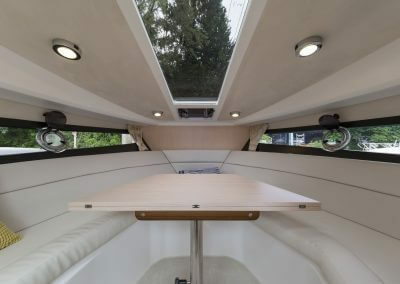 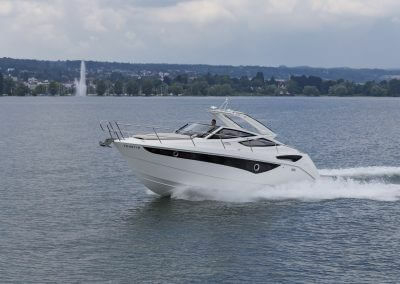 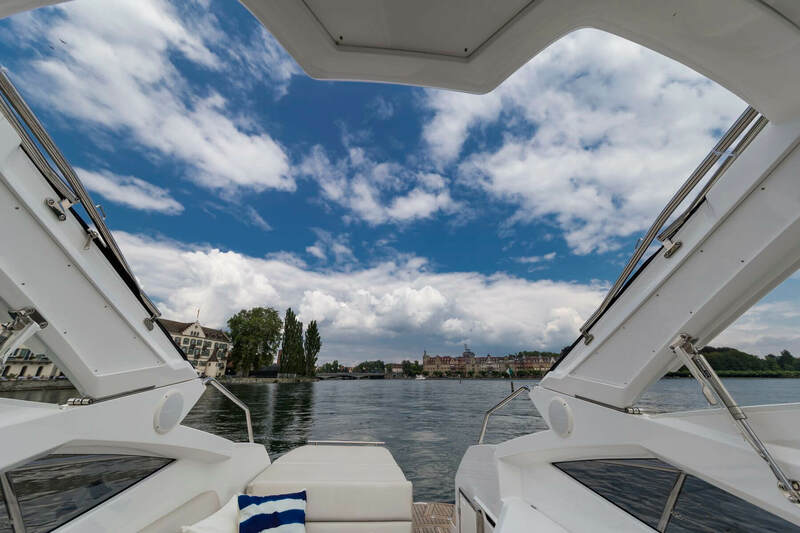 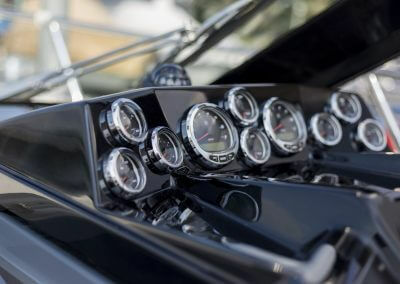 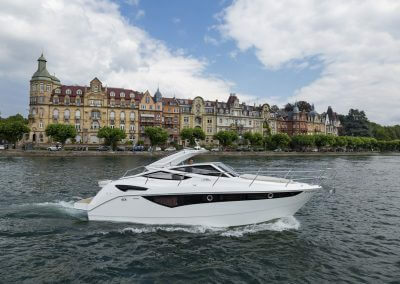 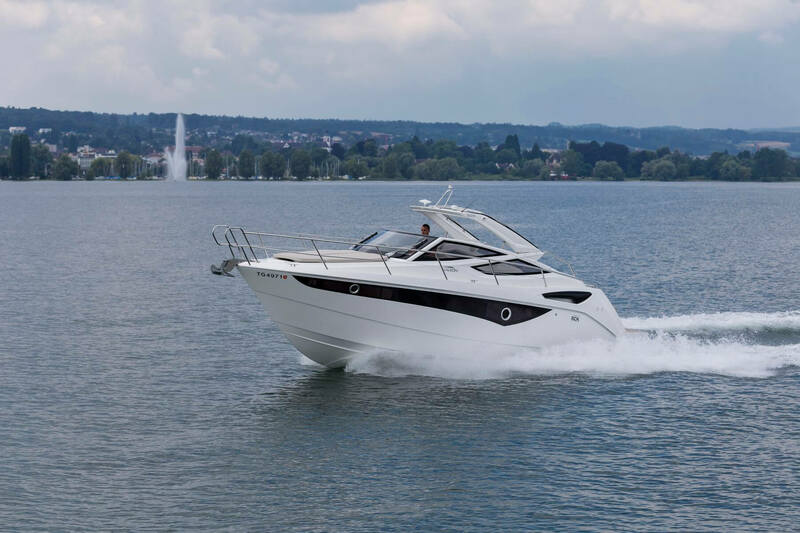 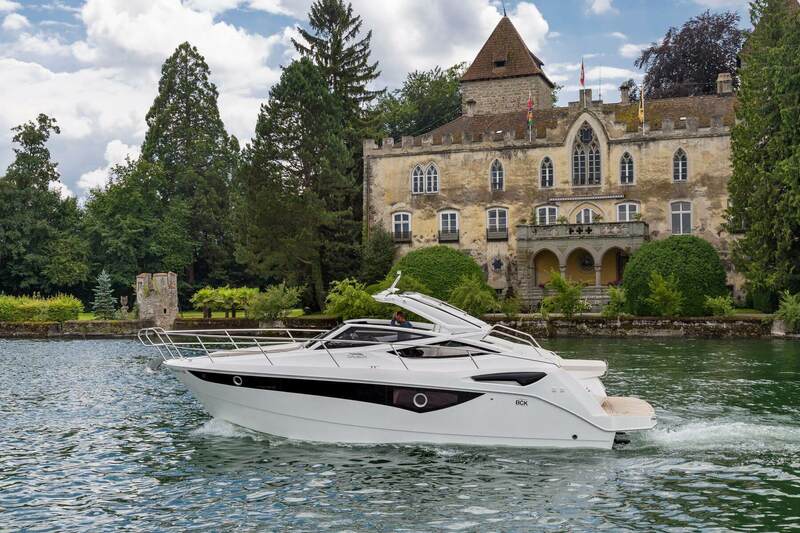 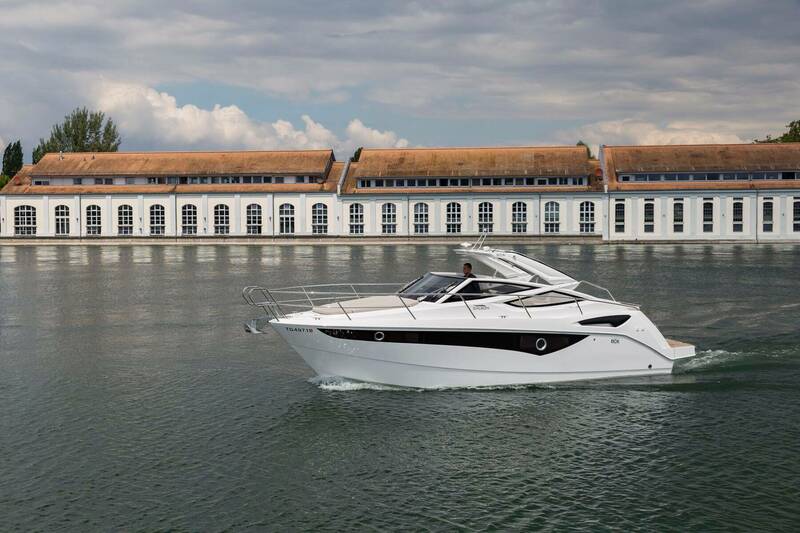 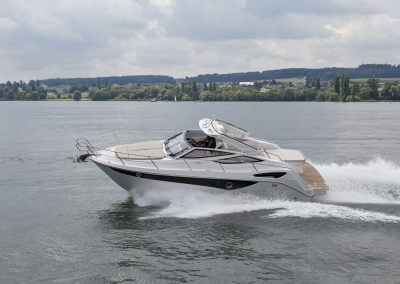 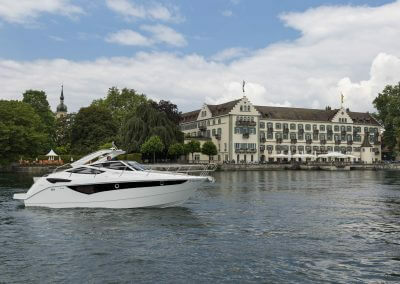 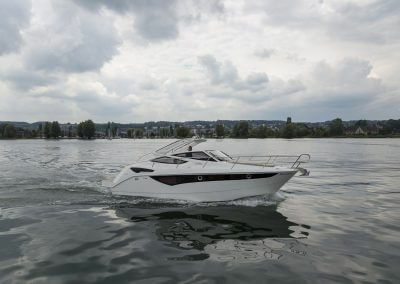 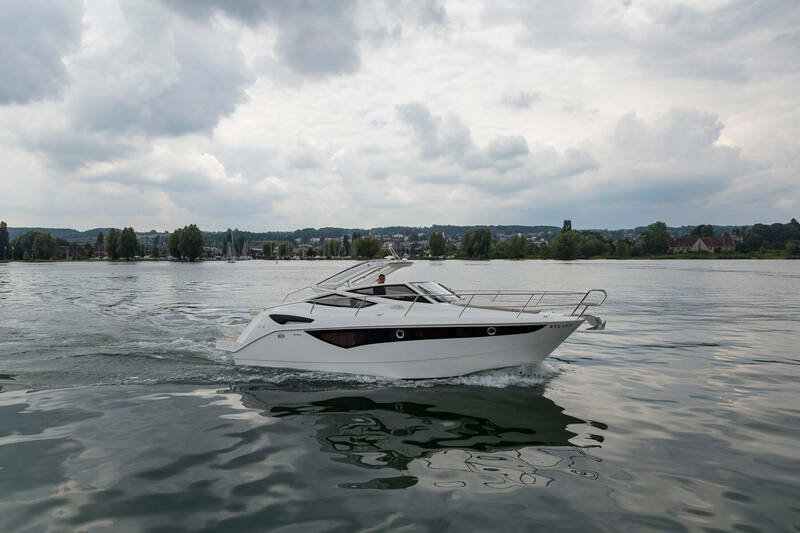 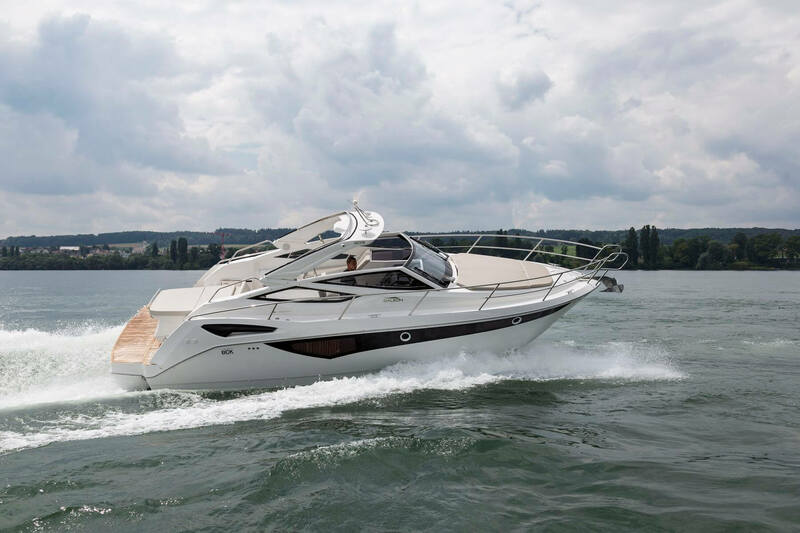 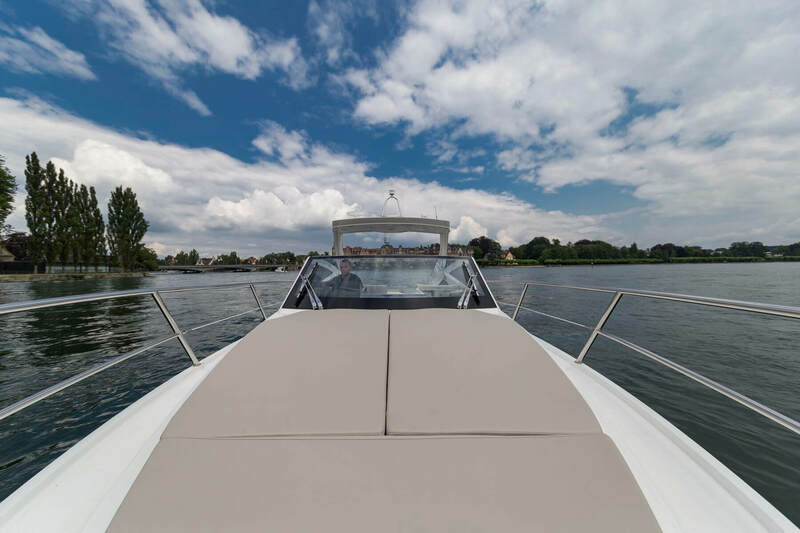 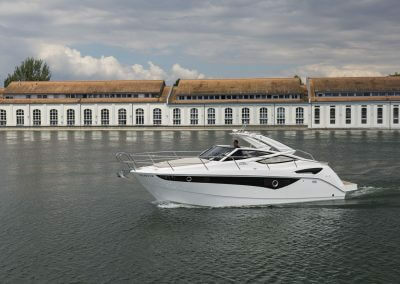 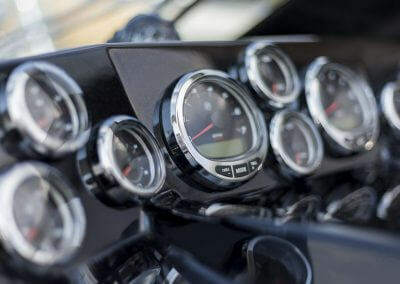 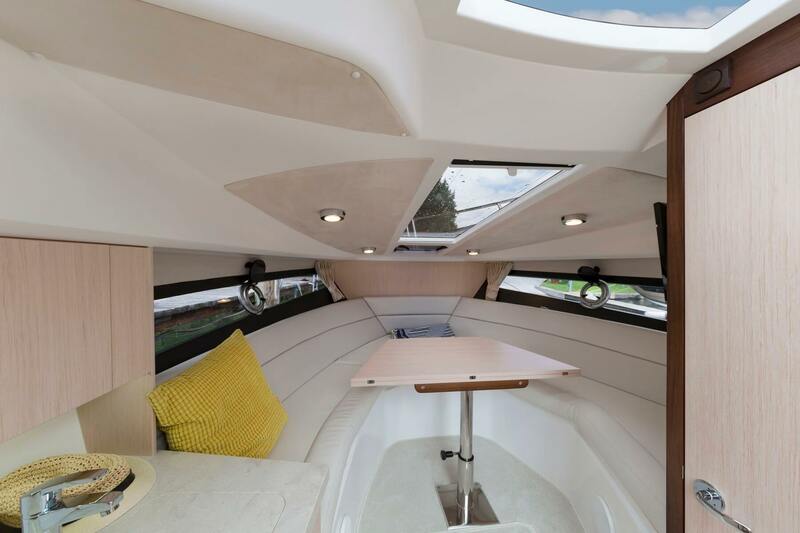 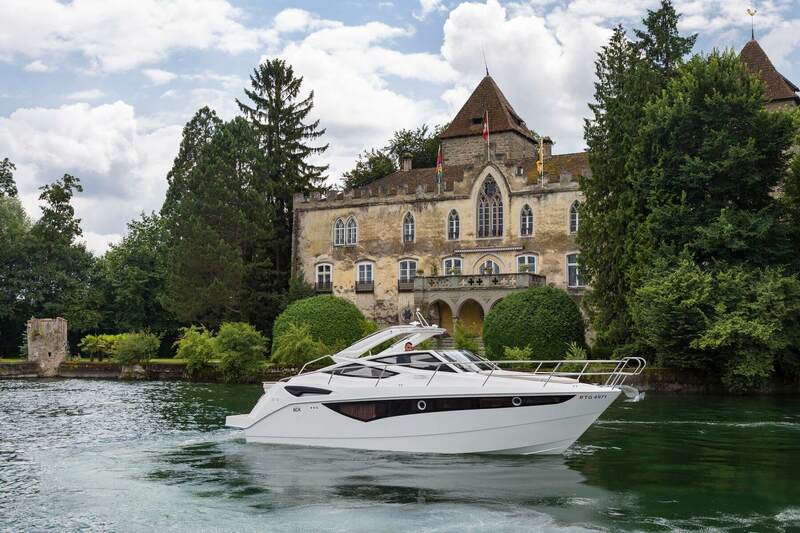 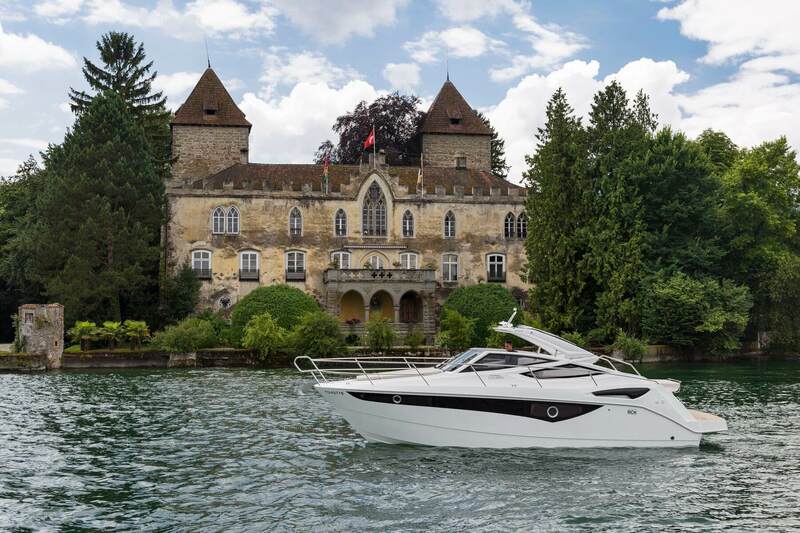 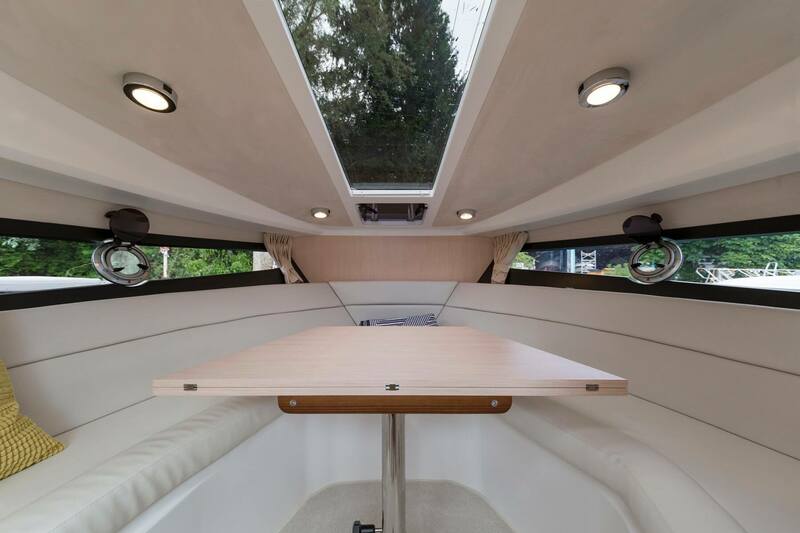 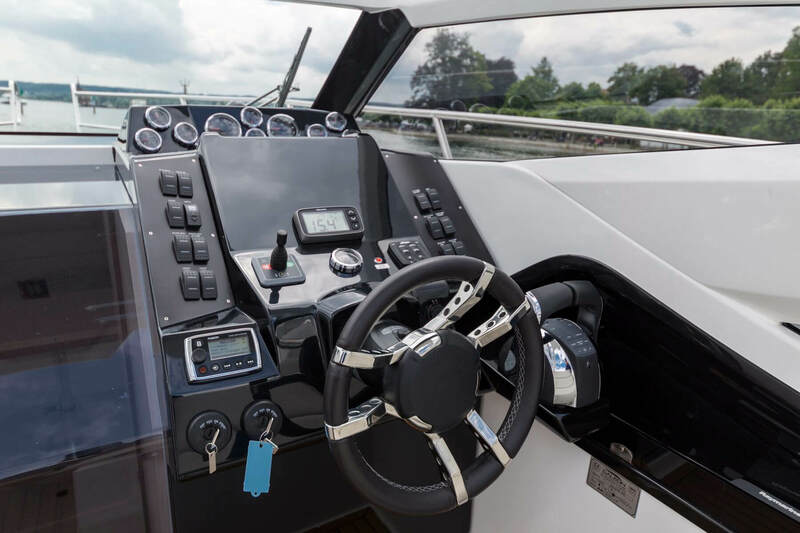 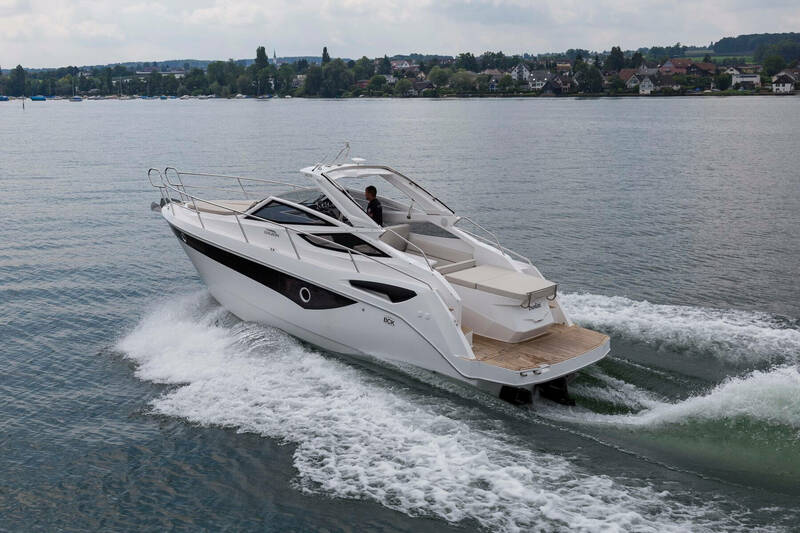 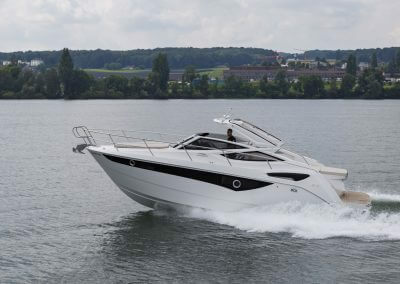 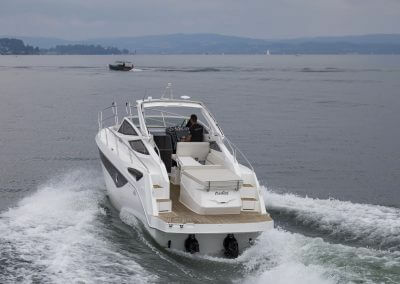 This yacht is for the adventurous, fun-seeking types, welcoming the sense of speed and great performance that comes standard with this model. 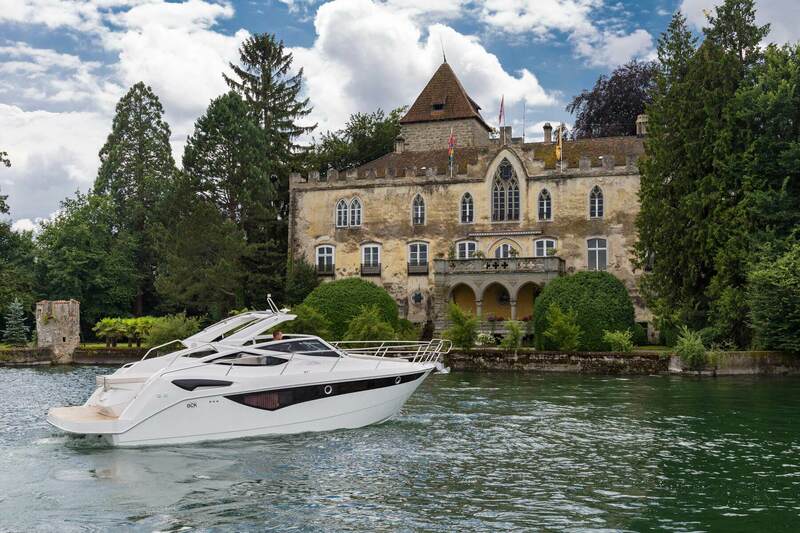 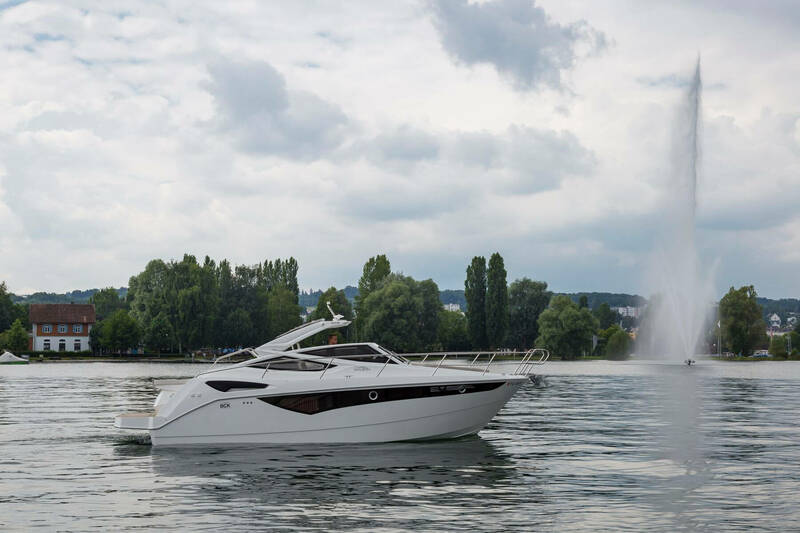 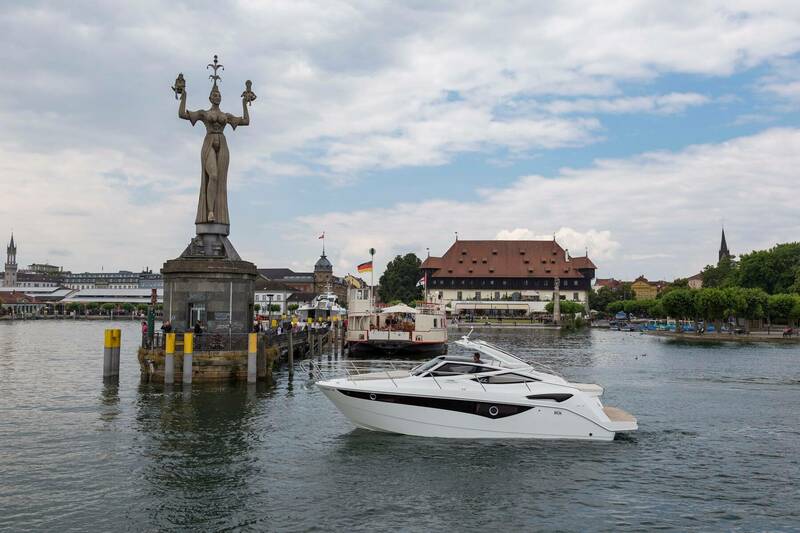 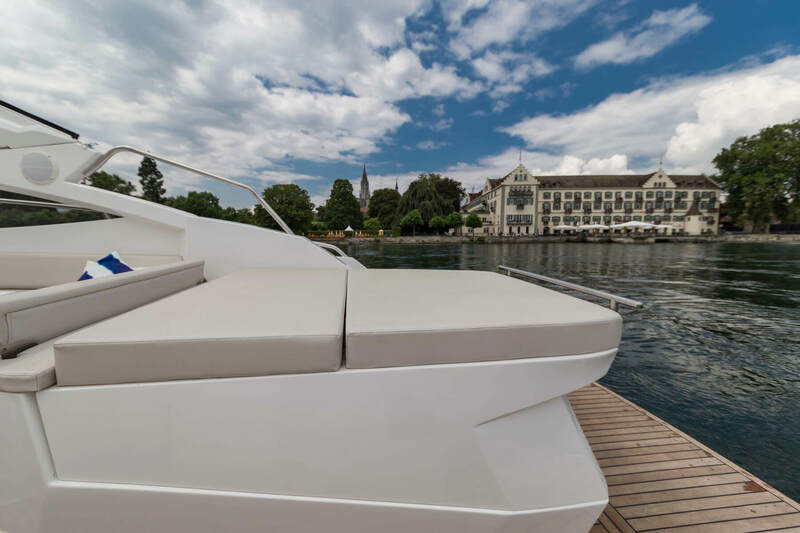 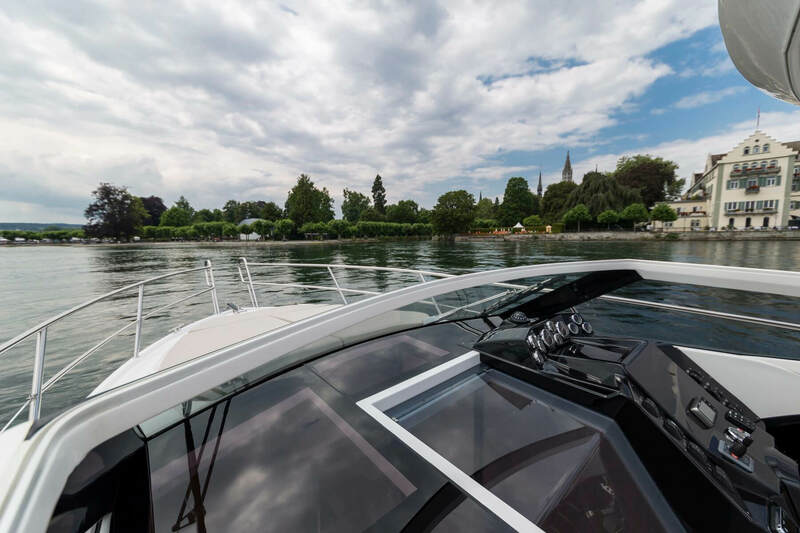 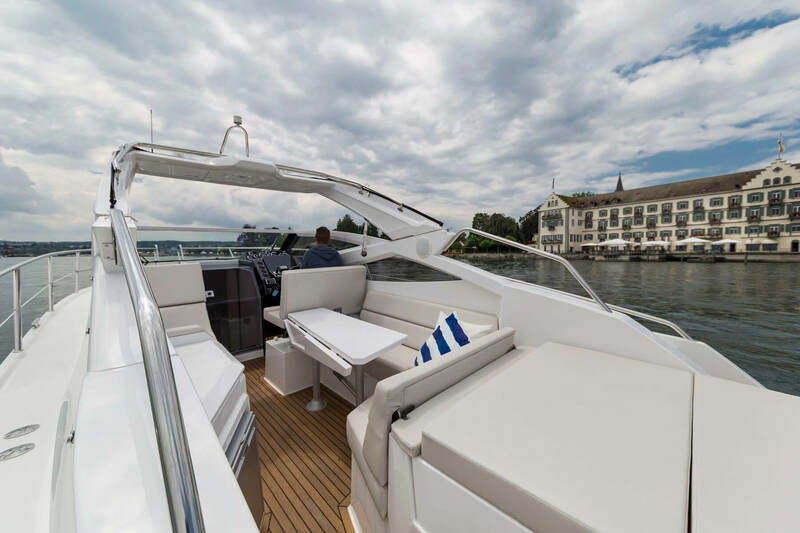 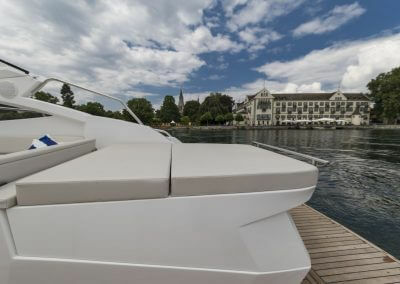 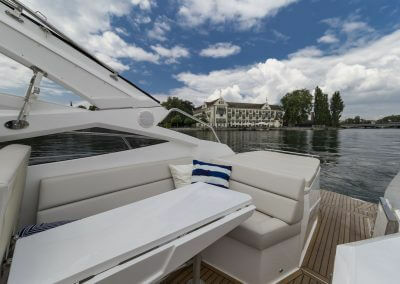 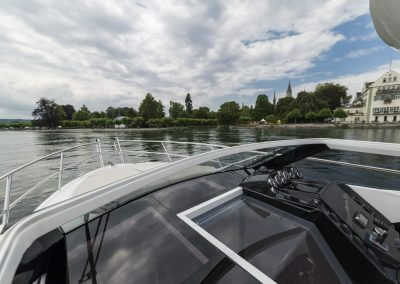 Galeon 305 Open simply refuses to compromise your enjoyment that comes from rapid cruising to your favorite destination. 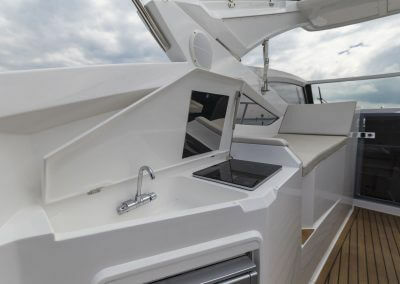 The main deck holds the helm station, a settee and a sundeck at the aft. 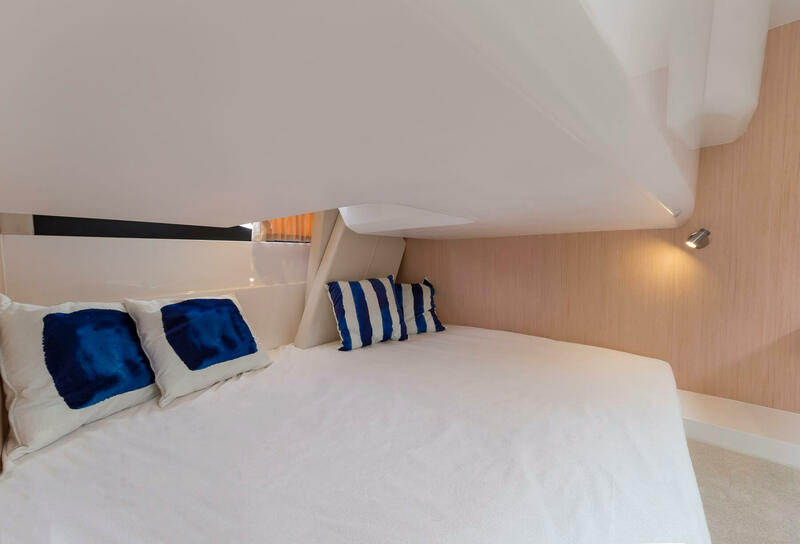 Down below the passengers may be accommodated in a closed-off cabin and at the bow, which serves as the saloon during the day. 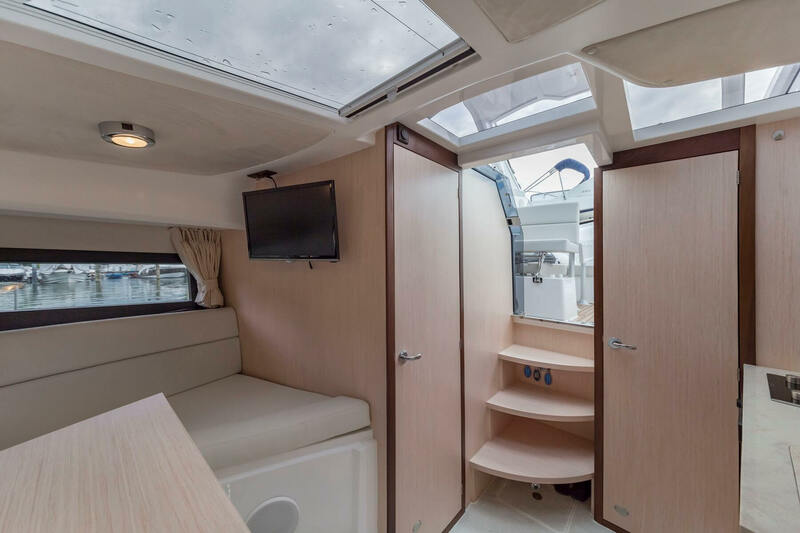 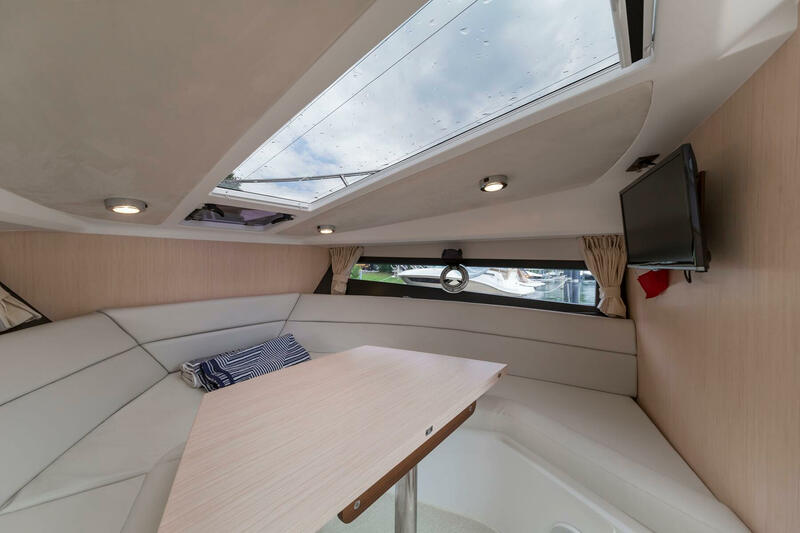 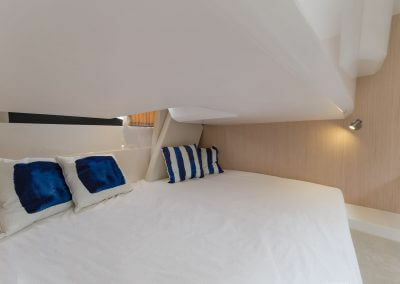 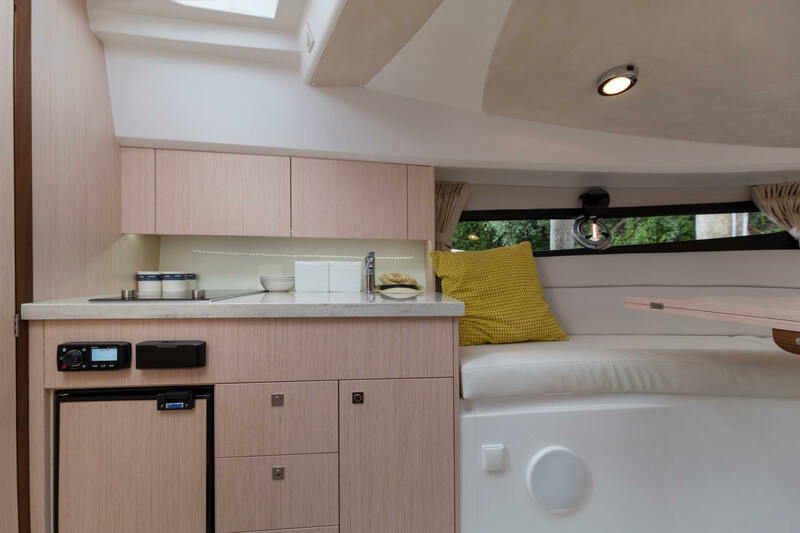 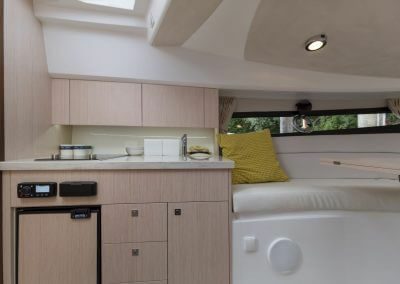 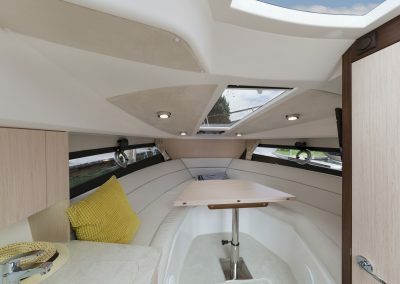 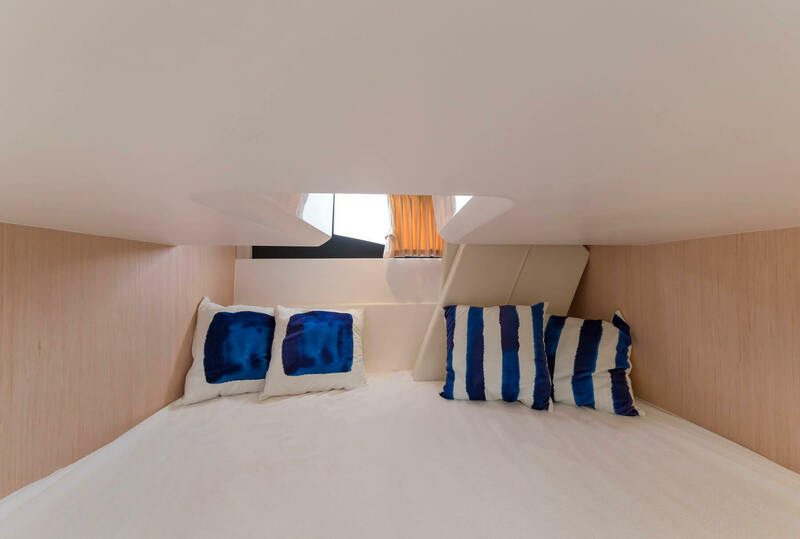 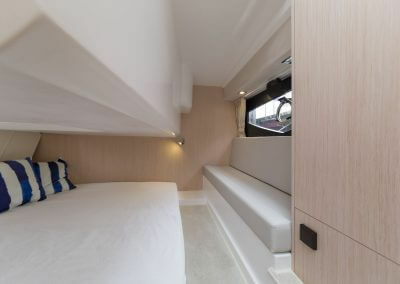 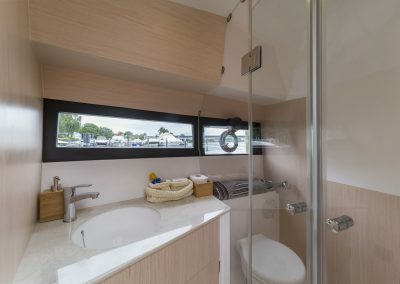 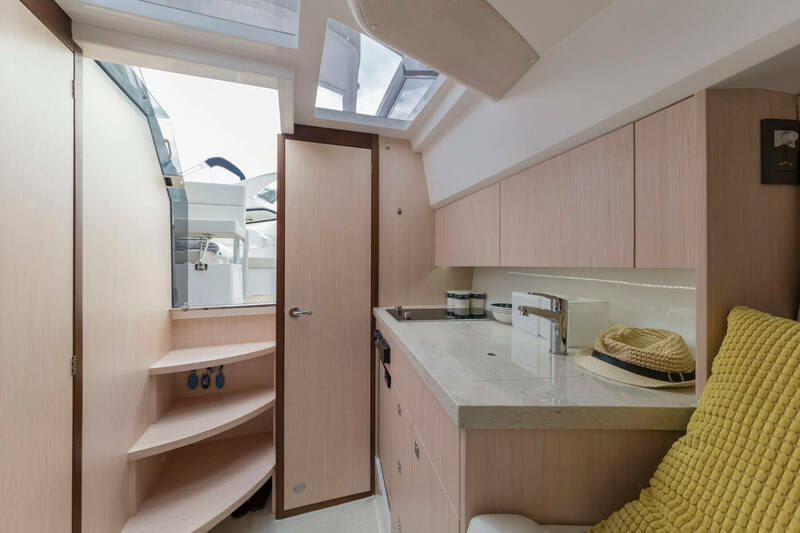 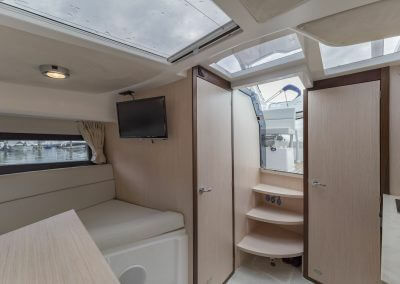 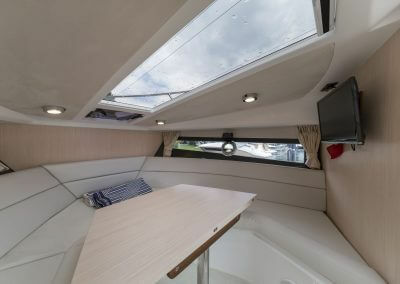 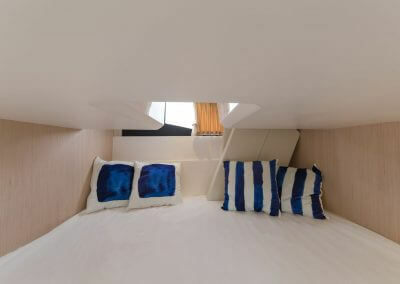 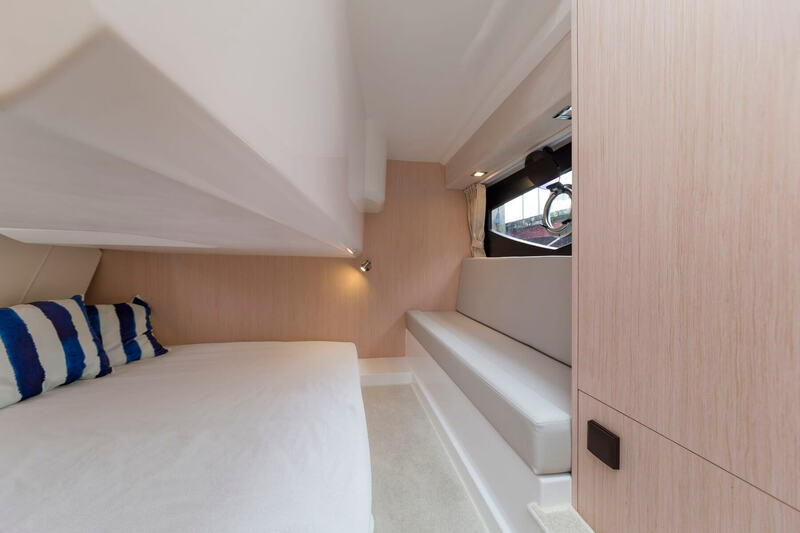 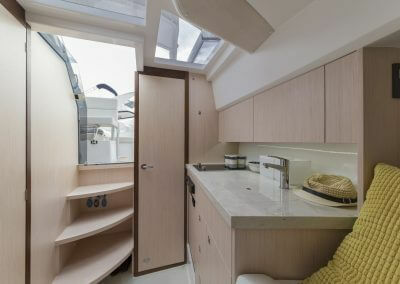 A well equipped galley and bathroom complete with a shower are both there for the guests convenience.